Beautiful coastal rooms with a rustic cottage feel give you an instant down home, comfy invitation to stay a while. Perfect mixing of blues and earth tones along with weathered and brushed fabrics create a rustic cottage style everyone will enjoy. 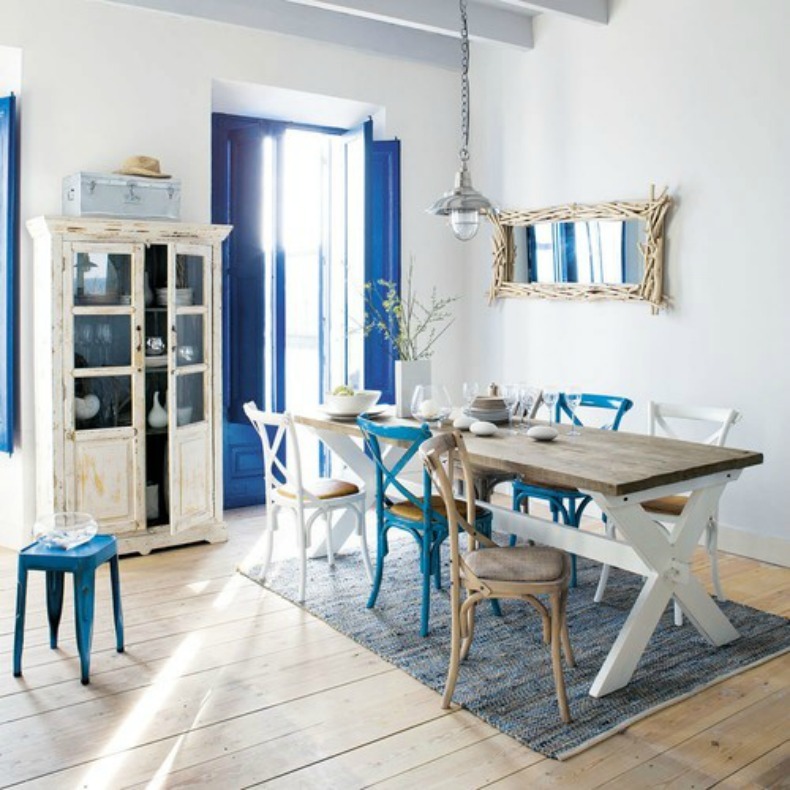 Washed out woods and cool blues set the laid back cottage tone in this rustic dining room. Aqua blues washed across the wood planks imperfections make for a lovely backdrop for this cast iron bathtub. Creams, taupes and grays are illuminated by the light that fills the wood slatted vaulted ceiling, creating a bright, airy and open space. 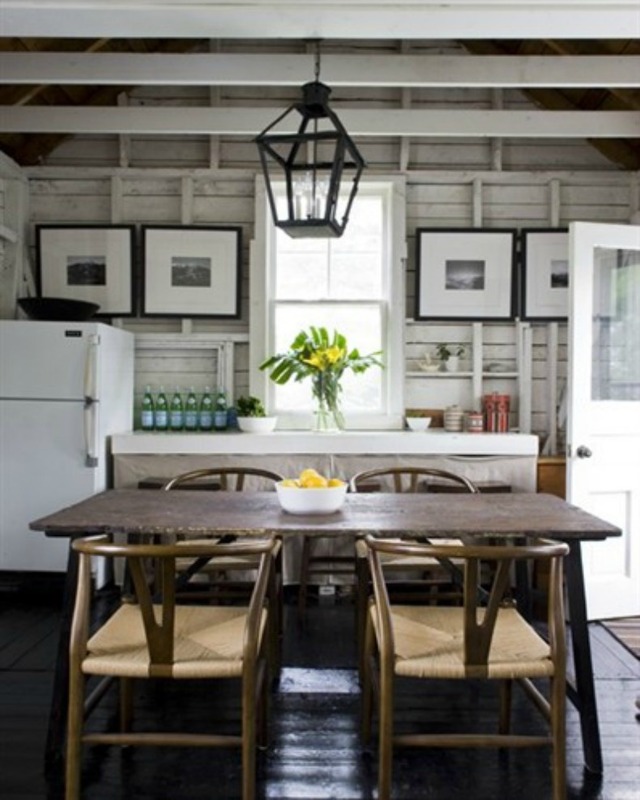 Rustic wooden slat walls and dark stained wood floors leave us doting on this great cottage kitchen. 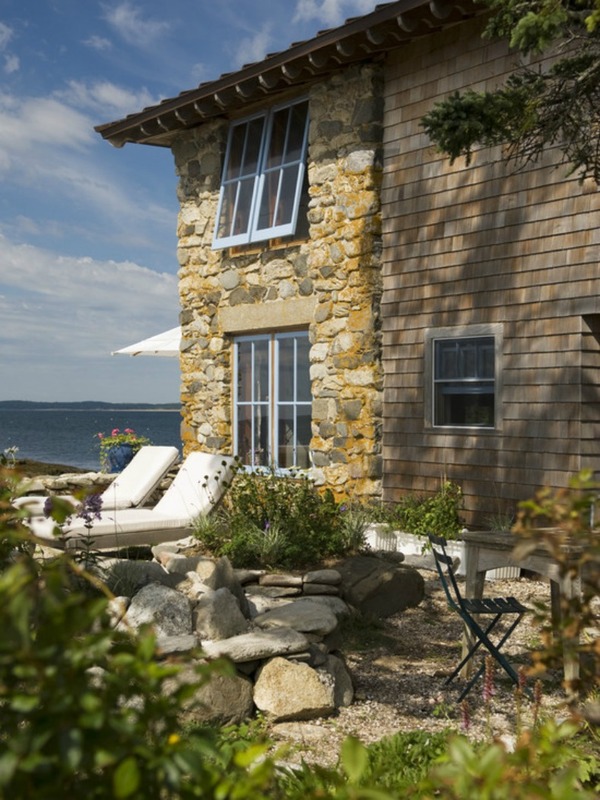 Rock laid wall and wood shakes with a great coastal view make this a wonderful cottage retreat. 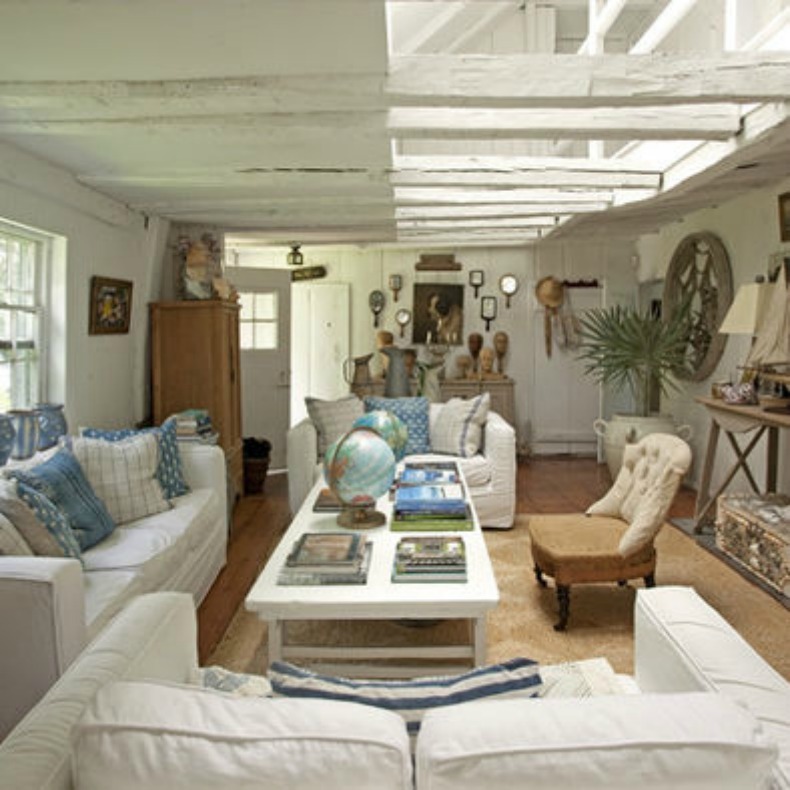 White slipcover sofas in rustic cottage living room. Blue, white and earth tone dining chairs, farmhouse table and driftwood mirror. 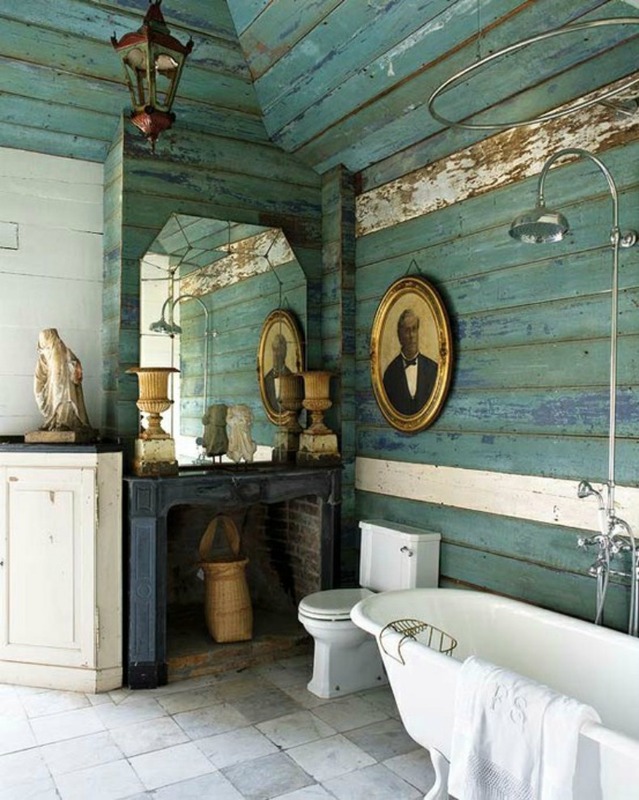 Aqua washed wood walls and white iron tub. 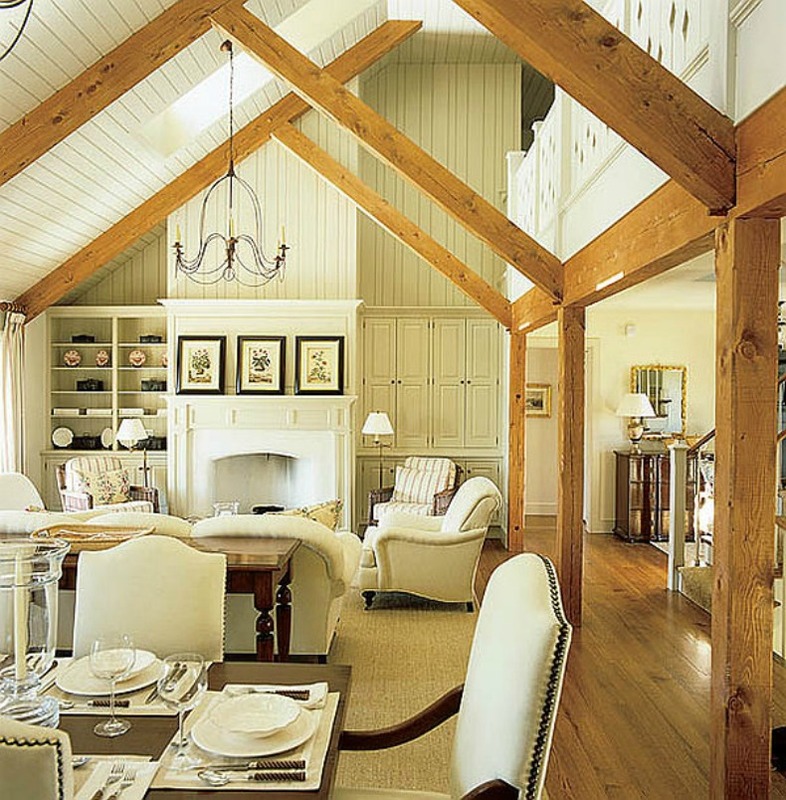 Cream, Beige, taupe and natural wood beam living room. White wood plank wall and dark stained wood floor kitchen. Rock and wood shakes cottage on the water.